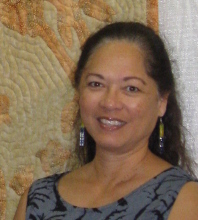 Quilts By Pat - Hawaiian Quilting With Poakalani & Co.
Pat’s passion is not only making quilts for her friends and family but also for the general public who have a desire to own their very own Hawaiian Quilt. 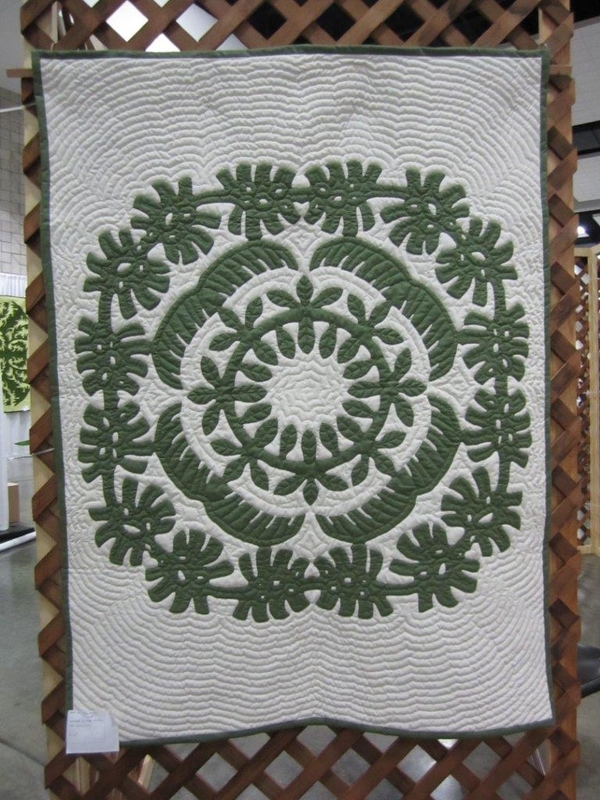 All Pat’s quilts are cut, applique, and quilted by her and of course carries the label ” Made In Hawaii”. 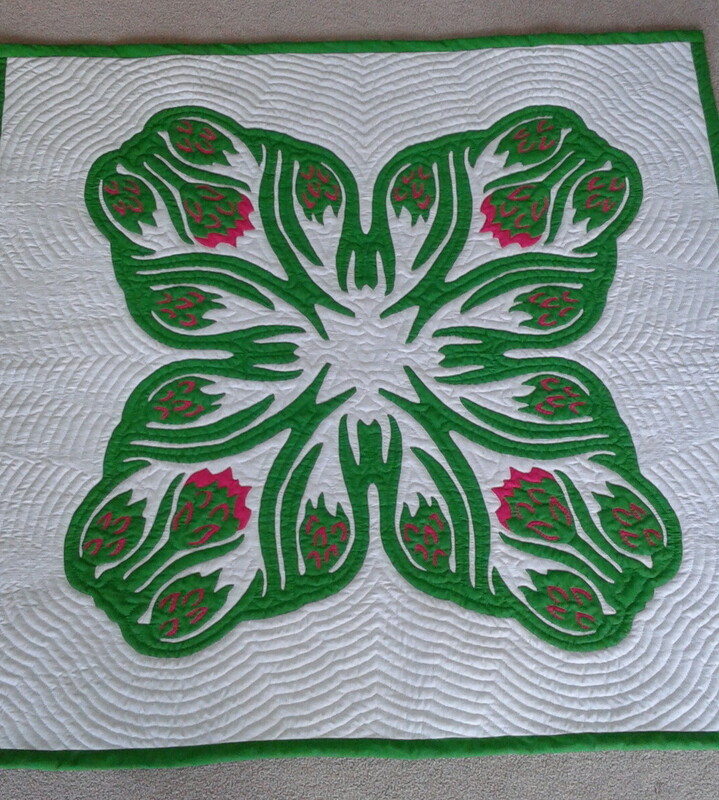 You can peruse through her gallery of quilts and call Pat for a quote on a particular quilt or ask her for a quote on a new commissioned quilt. You can reach Pat either by calling her at (214)293-9303 or email Pat at mtgpvg@yahoo.com. Strong and Sturdy the Monsterra only brings a strong foundation to one's family home. 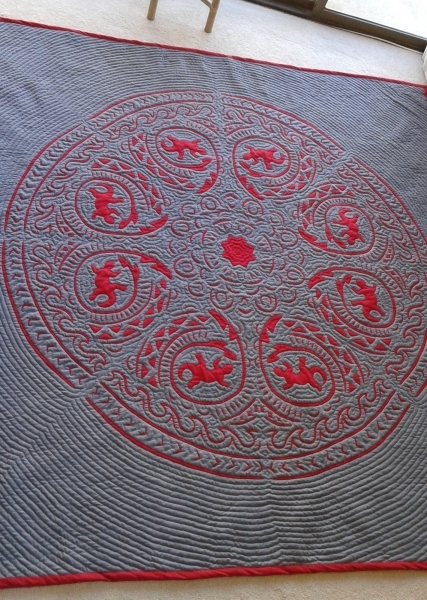 45" x 51"
Fragrant is the Pakalani Blossom. Known to sooth and relax even the most difficult person. 45" x 45"
The Plumeria blossoms all year long known to bring only happiness to the wearer. 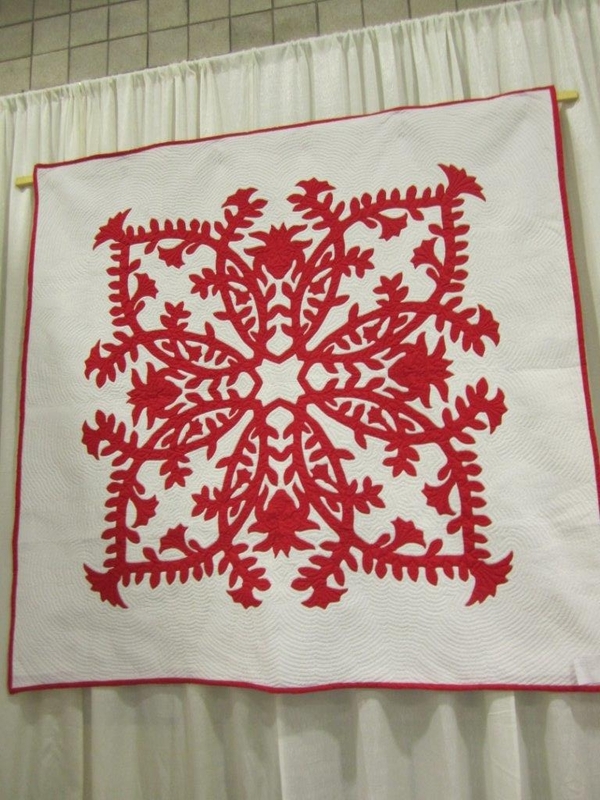 45" x 45"
A sampler quilt wall hanging of Hawaii's favorite flowers will brighten up any room. Used as a medicinal tea by the Hawaiians. 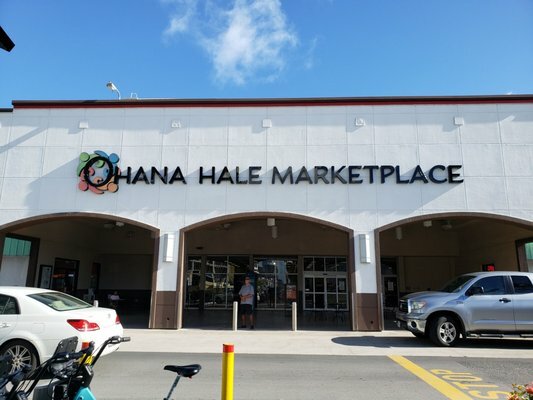 The Laua'e means health and long life. The many shades of Green brightens Hawaii's landscape. 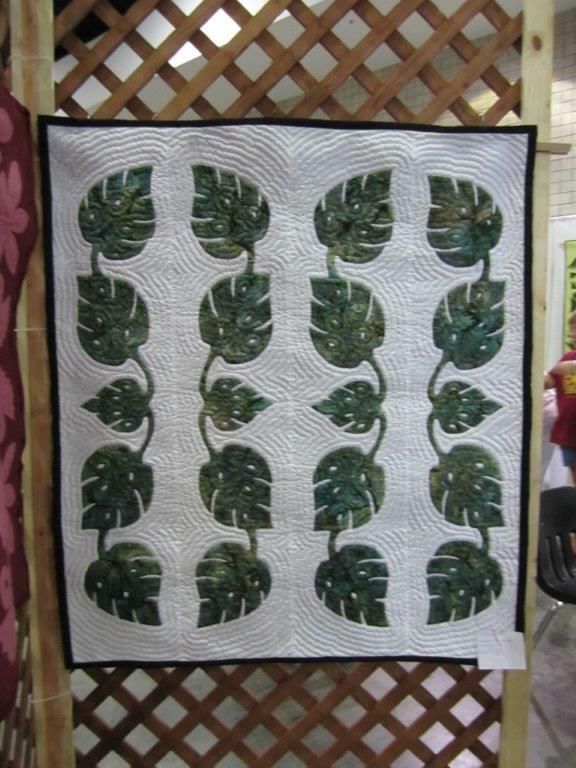 On a quilt it brings the garden into your home for a soothing relaxing look. The Casablanca lily symbolizes "Celebrations" Great gift for any occasion. 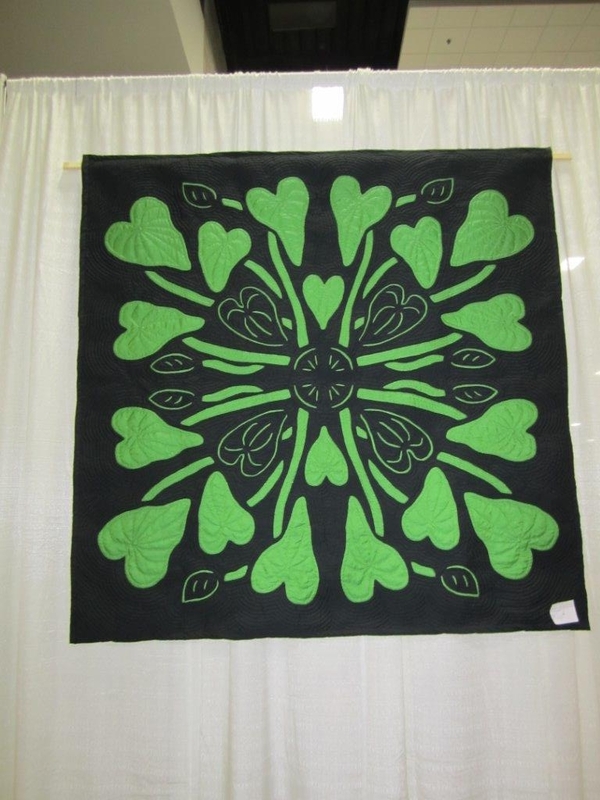 The Kalo symbolizing family and abundance. Strong and Sturdy the Monsterra only brings a strong foundation to one's family home. Strong and resilient the Lehua Blossoms grows under the most difficult environment. The Spider Lily a favorite blossom of Queen Emma and known for it's fragile beauty and grace. Vintage Design the violet is still a popular flower. Those who love to fish or even dream of fishing will love this amazing quilt. Representing humility and refinement, the orchid and its many varieties grows abundantly in the islands. Hawaii's new exotic plant. Looks similar to the night blooming cerus but the edible fruit delights the culinary community. 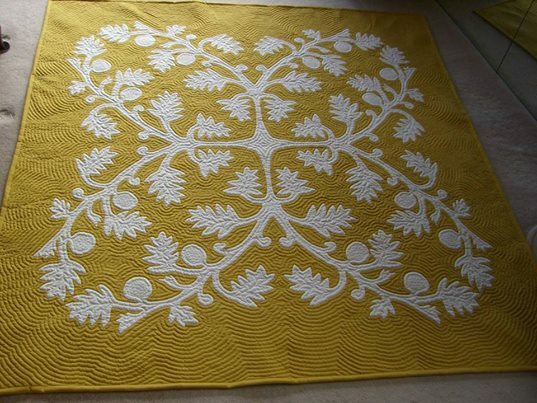 Breadfruit/Ulu quilt is said only to bring abundance of luck, money, food and comfort to ones life and home. 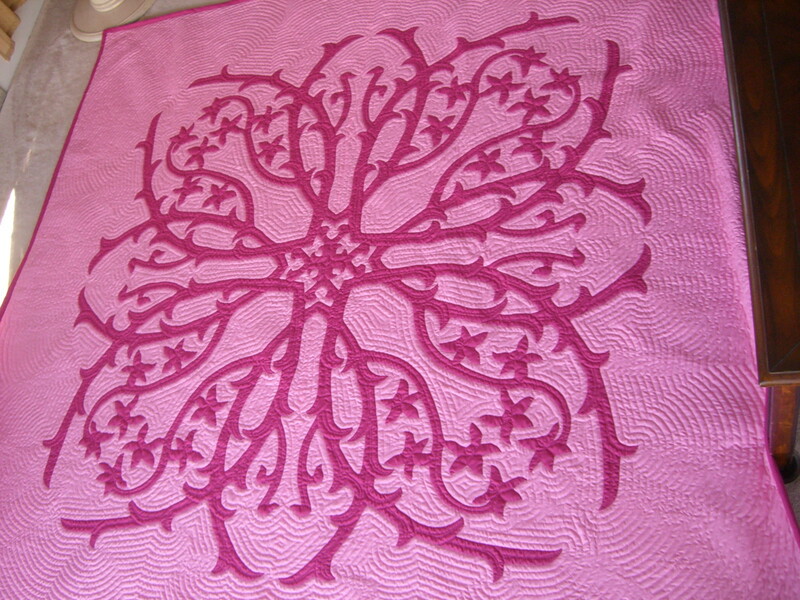 Monsterra always a favorite design for quilters and quilt enthusiasts. 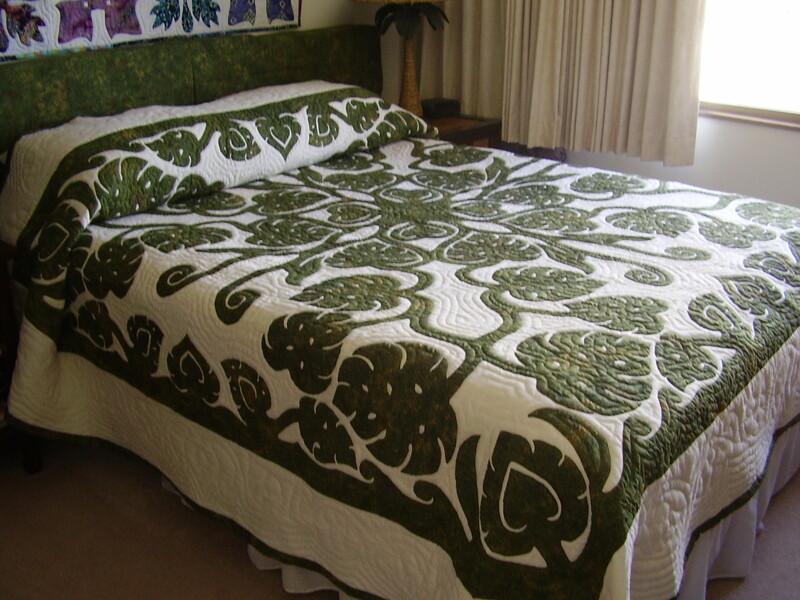 A tribal design quilt with Hawaii's favorite pet " the Gecko"
The multi-colored croton leaves accented by Hawaii's spiritual plant the Ti Leaf. 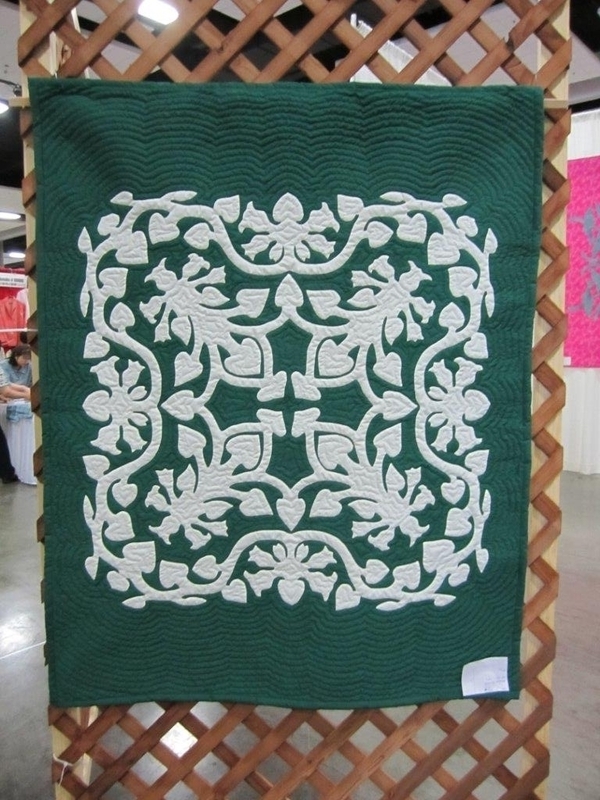 I’m interested I having a quilt wall hanging made I have the pattern Do you do that?